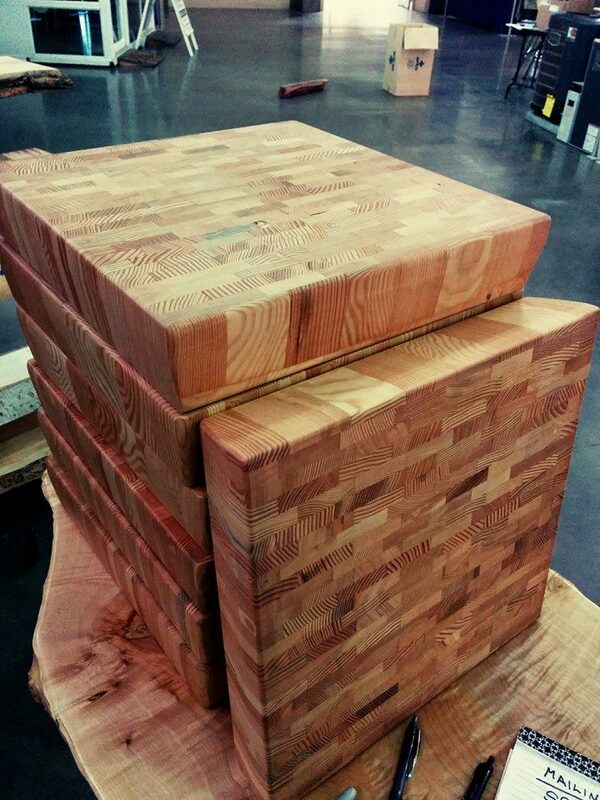 Beautiful, end grain cutting boards, roughly 15″ x 15″ by 3″ thick with 250+ individual pieces of Douglas Fir fitted together with waterproof glue and sanded to perfection. This hefty and unique piece will stand out in your kitchen or wherever you decide to place it. Finished with mineral oil and a food grade finish. Click here to order now or call Woodworker Network at 509-684-1008 for a different size or custom woodworking order. Whether you’re in the market for this unique and useful conversation piece or not, please feel free to leave a comment or like and tell us what you think of them! We are hoping everyone had an eventful Christmas as we did. We shared some of our cutting boards with family and friends and they were a hit. We enjoy working with wood and are starting to make more finished products as well as selling the unshaped “raw” wood to massage into a work of art.